Allan Johnson entered the academic world in 1999 after 10 years as a business owner/operator to follow his passion for teaching. He holds both an MBA and an M.Ed. in Occupational Training and Development. Allan taught CCNA courses at the high school level for 7 years and has taught both CCNA and CCNP courses at Del Mar College in Corpus Christi, Texas. 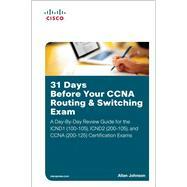 In 2003, Allan began to commit much of his time and energy to the CCNA Instructional Support Team, providing services to Networking Academy instructors worldwide and creating training materials. He now works full time for Cisco Networking Academy as a Learning Systems Developer.